The UK entered glove-wearing weather in the last week or two, leaving the annual problem of how to use touchscreen devices when out and about. If you’ve ever used cheap touchscreen gloves, you’ve probably been disappointed. Most aren’t good at either job: they aren’t very warm, and their touchscreen performance is poor. 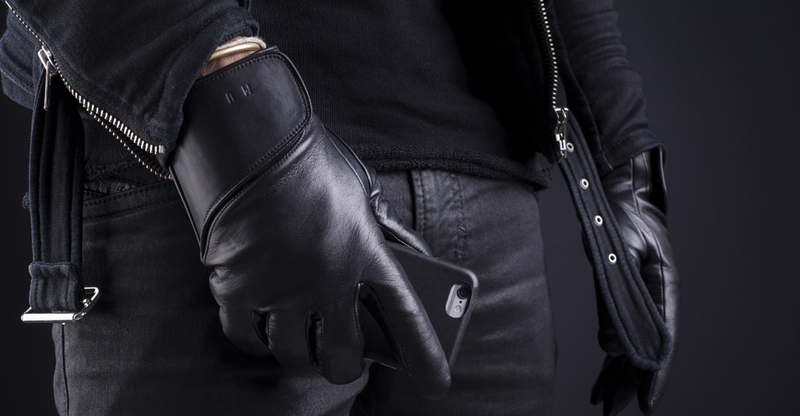 Mujjo’s Leather touchscreen gloves are far from cheap, at $110. But before you dismiss them out of hand, let me explain why I think they are worth the steep price-tag. You can walk into any upmarket department store and pay a similar amount (or more) for top-quality leather gloves. And if you did so, you wouldn’t be at all disappointed with these. That impression of quality begins with the packaging, shown above. They are beautifully presented, and would make an impressive gift. While leather gloves may have something of an old-man image, it’s clear that Mujjo is targeting a completely different demographic here. The design is contemporary, with the fold-over flap giving the gloves a bit of a motorcycle vibe. While not specifically marketed as a men’s glove, I would say the look is more male than female, and the sizing is limited to 8, 8.5 and 9, which will be too large for many women. The feel of the gloves is fantastic, both outside and in. The leather is Ethiopian lambskin. It’s incredibly supple, and beautifully soft to the touch. Mujjo says they are both windproof and waterproof. I was a little skeptical of the waterproof claim, as in my experience you can have ultra-supple leather gloves or waterproof leather gloves but not both. However, when running them under the tap, water beads up impressively, and they did later come through a rain-sodden bike ride without letting in any water. The interior lining is another luxury material: cashmere. The gloves feel far too thin to keep your hands warm in cold temperatures, yet somehow they do. Granted, UK temperatures don’t get much below freezing, and they only hit 7-8C (44-46F) at this time of year, but if anything they are a little warm for these temperatures. This is my only slight complaint about the gloves. They fasten really easily, and are secure in everyday wear, but I did find that the stud came undone a couple of times while cycling. A slightly stronger magnet would be a worthwhile improvement. However, the ease of fastening means that all I had to do was slap it back down and it fastened itself again. Most touchscreen gloves have visible patches of conductivity. Not these. There is absolutely nothing about them to give any visual clue that they’re touchscreen gloves. The entire surface of the glove is capacitive. These gloves aren’t for everyone. Any design will, of course, appeal to some and not to others. And for $110, some may feel they don’t mind briefly removing their gloves to use their phone. But if you are already in the market for gloves of this quality, my view is that you’re getting a fantastic pair of top-quality gloves with the touchscreen performance thrown in free. Mujjo Touchscreen Leather Gloves are available from Amazon for $109.95 as well as from Mujjo’s own online store.